I got some information about the people who hadn't been able to walk but later started to walk again - what they were eating. So I changed a little bit my diet: started to eat much more green, and much more raw food. And I tried to avoid wheat/gluten. I'm not Novak Djokovic but tried it. I felt/thought it's worth trying and wanted to see how my body and mentality would change. I used to bake bread myself at home. And I used to like making pasta and udon noodles myself - but I stopped making and eating them. My favourite Italian pasta machine 'Imperia' finished its role - do widzenia. 'Thank you and goodbye Imperia, you did a great job.' - I put it away, it disappeared from the kitchen. Perhaps it's not easy for us to change our diet/eating habits or to stop eating something. But for me - the most important thing was to be able to walk again - it was serious so I had to try it. 'I can make zoodles (zucchini/courgette noodles) instead of traditional pasta.' - So a spiralizer came to my kitchen instead of a pasta machine. Also, I got a professional mandoline slicer that many restaurant chefs use and love. Vegetables taste differently when they are cutted/sliced/diced differently. The difference is surprisingly big. And the beautifully and appropriately cutted/sliced veggies are really delicious. I expanded my repertoire of recipes rapidly. Especially various kinds of healthy vinaigrette sauce/dressing (mainly oil-free) and egg-free, oil-free mayonnaise. This egg-free raw mayonnaise is much more delicious than ordinary and traditional one - it was a surprise to me. What we eat every day - it cannot be boring, it should be rich in variety. For me, therefore expanding the repertoire was a serious thing in order to live/survive. Having a large repertoire of various seasonings and cutting/slicing techniques, there is no limit to make vegetable dishes, salads - it helps us especially when we eat them raw - we have limitless possibilities. Training and eating, and training and eating... at the end of the day, I always had no energy left. I trained very hard, slept well and rose up with hope every morning. 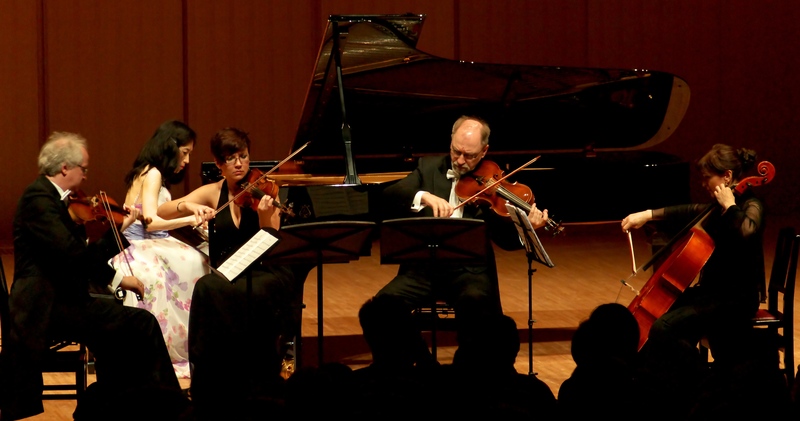 In 2015 many important people came to Warsaw for the 17th International Chopin Piano Competition. 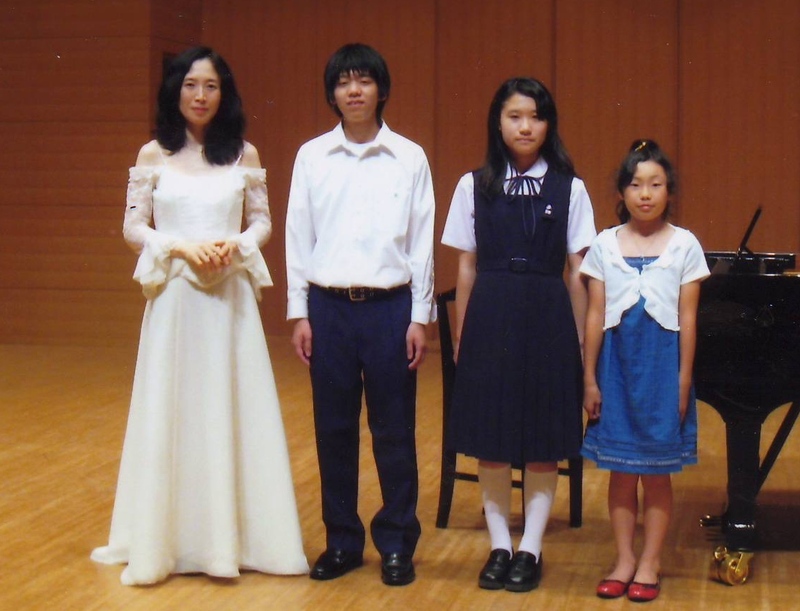 I had been invited to various meetings, had been asked for piano lessons for very talented young competitors before the competition. But I couldn't. I couldn't help them. I apologised to them and I was sad. 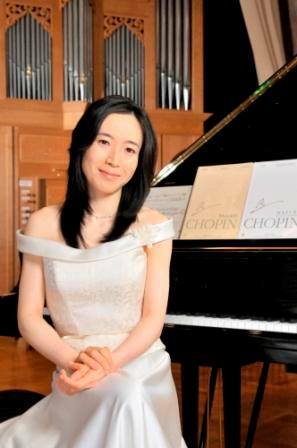 I had been offered various works for the Chopin Competition but I couldn't. In summer, before the competition, many people from all over the world contacted me and wanted to meet me in October. But still I couldn't walk so I couldn't see anybody who came to Warsaw during the competition. 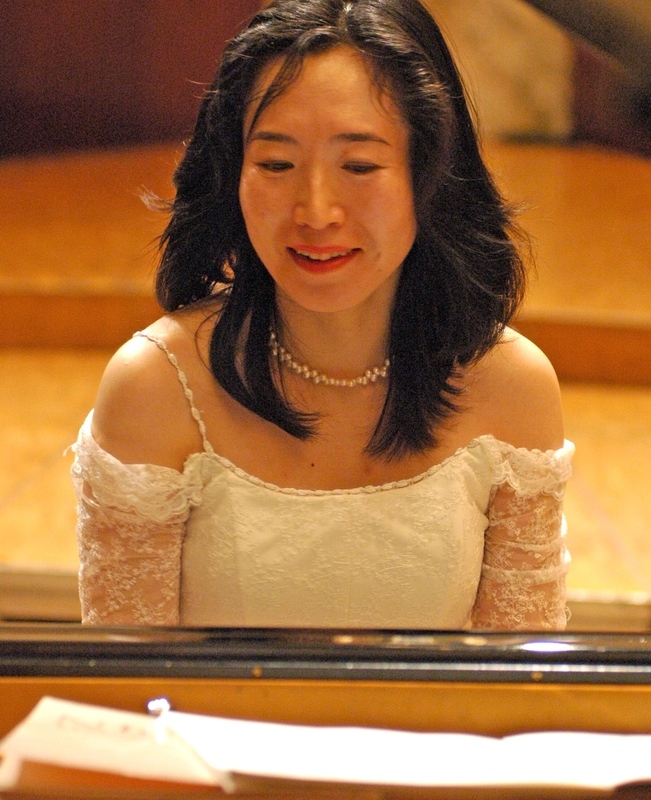 Akiko Ebi - a Japanese concert pianist living in Paris, a prizewinner of the 10th International Chopin Piano Competition, the Long–Thibaud–Crespin (Marguerite Long–Jacques Thibaud) Competition, the Leeds International Piano Competition, and the chairperson of the 8th and 9th Hamamatsu International Piano Competition (from 2012 till 2015) and - a jury member of the 17th International Chopin Piano Competition - she sent me an email before the competition, in September 2015. She thought that we would be able to meet in Warsaw in October. 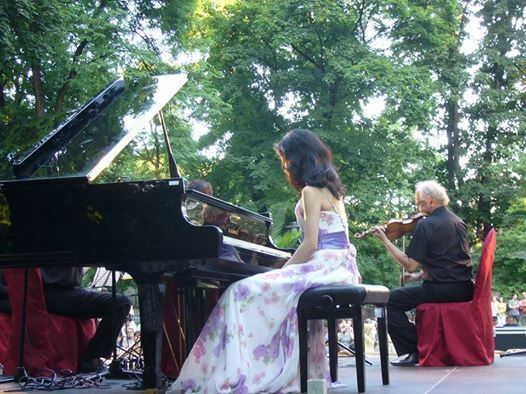 I wrote back to her that I couldn't walk - describing my leg situation and apologised to her for not being able to go to Warsaw Philharmonic Hall, where the competition was held. She read my email and was surprised, and immediately phoned me from Paris to Warsaw. We talked very long - for over an hour. She asked me about the details, what had been happening to my legs. I told her everything. She listened to me and gave me very good advice, as if we were a family. Her truly warm words, honesty and sincerity moved me. 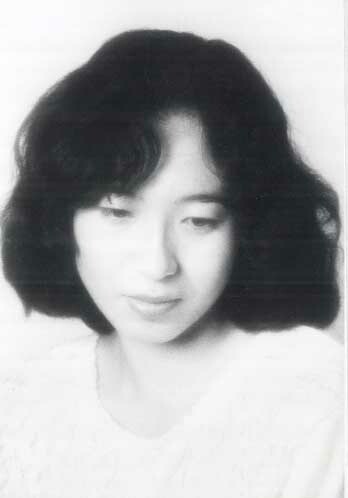 Akiko Ebi is the person who actually saved Martha Argerich's life, when Martha had the surgery in the US for her cancer. 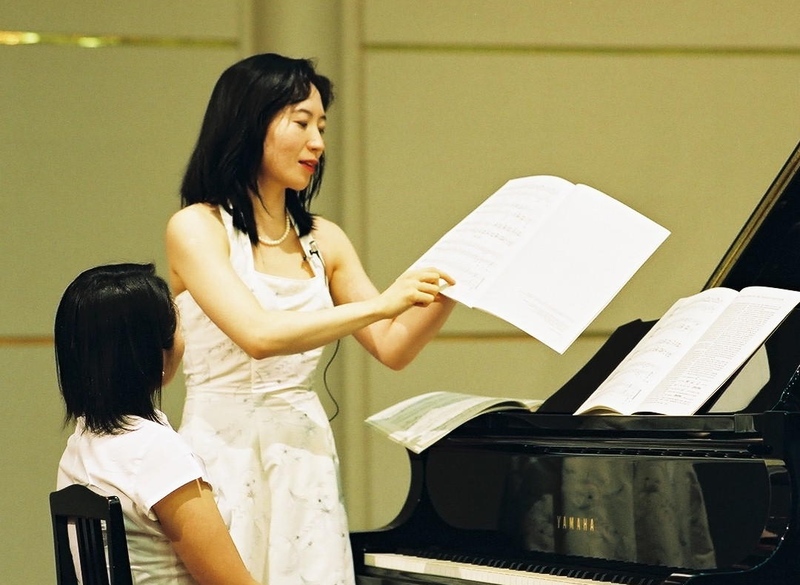 Akiko Ebi cancelled her own concerts and followed/helped Martha. Akiko Ebi knows how to help someone and she has always helped - also me. And it was also in September. One day, suddenly and unexpectedly, I got a phone call and an email - it was from the staff of Embassy of Japan in Poland. I was surprised. I hadn't informed the Embassy about my leg problem. 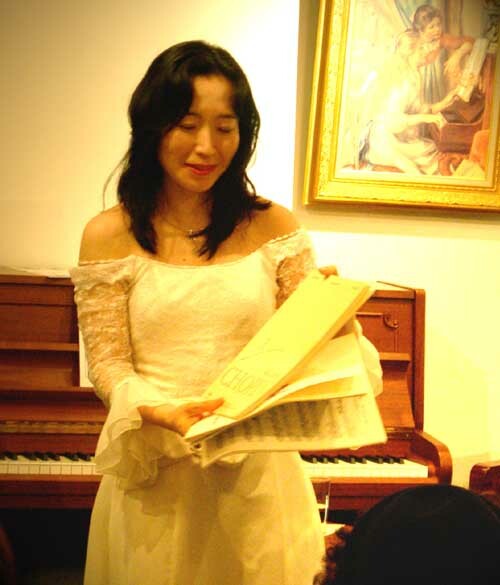 But the Embassy got the information about me - that Yuko Kawai was/is not OK. I didn't know that. 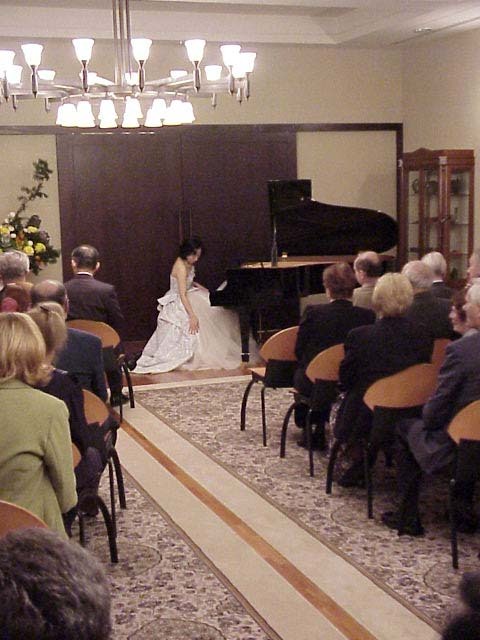 The Embassy of Japan in Poland is the 'super' embassy. The information about me worried them and the staff called me. In spite of the fact that I hadn't been able to walk very long - for over one and a half years, and had had a very tough everyday training and was tired, I was optimistic. Still I couldn't walk but I felt more progress in myself than when I was 'skin and bones'. Every morning I got up with hope and started training immediately. Why was I hopeful and optimistic? I'm a concert pianist. I'm used to observing myself, my body, my muscles, my nerves, my mental and brain condition, my stamina and so on - particularly on the stage. I'm used to seeing myself objectively. 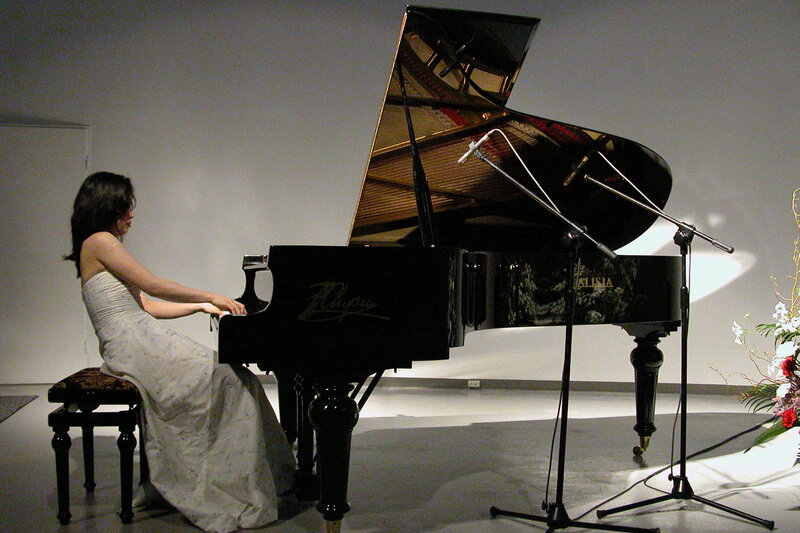 A little everyday progress in my brain and muscles gives me energy and hope for the future, when I practise the piano. The rehabilitation training is similar. Not the same, but it's similar to a certain point. I'm used to being very patient and optimistic. 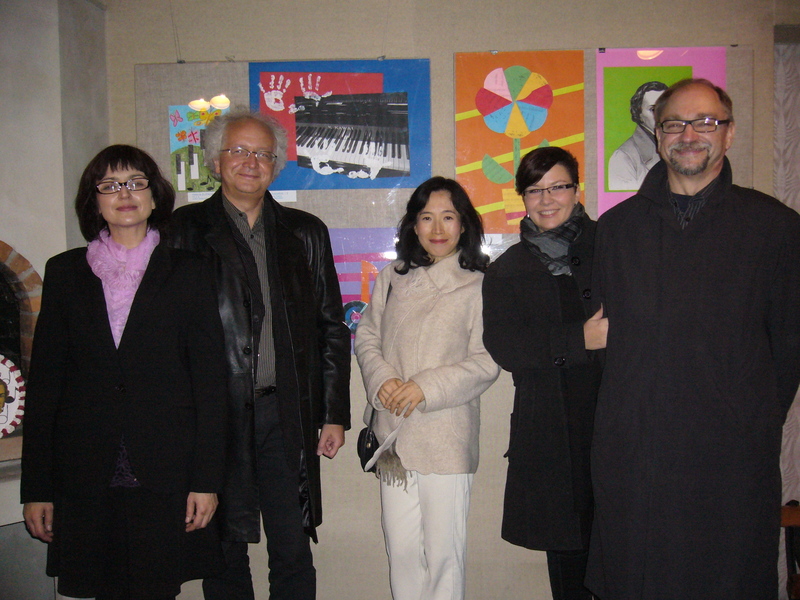 In the audiences at the recital: Ambassador Hideaki Ueda with his wife, Andrzej Wajda, prof.Henryk Lipszyc, Anna Żurawlewowa (founder of the International Chopin Piano Competition, prof.Jerzy Żurawlew's wife), Dariusz Rosati (former Minister of Foreign Affairs of Poland) with his wife, Janusz Onyszkiewicz (former Minister of National Defence of Poland), prof.Piotr Paleczny, Jan Popis, Wojciech Nowak (director of Warsaw Philharmonic), Stefan Sutkowski (founder of Warsaw Chamber Opera) and others. Kanda-san (a consular representative), Doctor Fujita and a lovely Polish lady Maria - three people from Embassy of Japan visited me in late September 2015. They were warm people. Doctor Fujita saw me, asked me various questions and checked my blood pressure. 'Yes, Doctor Fujita.' I replied. 'I've been training really hard every day.' - But in order to walk, only calf muscles are not enough. The muscles in my hams and bottom were still weak, so still I wasn't able to walk. 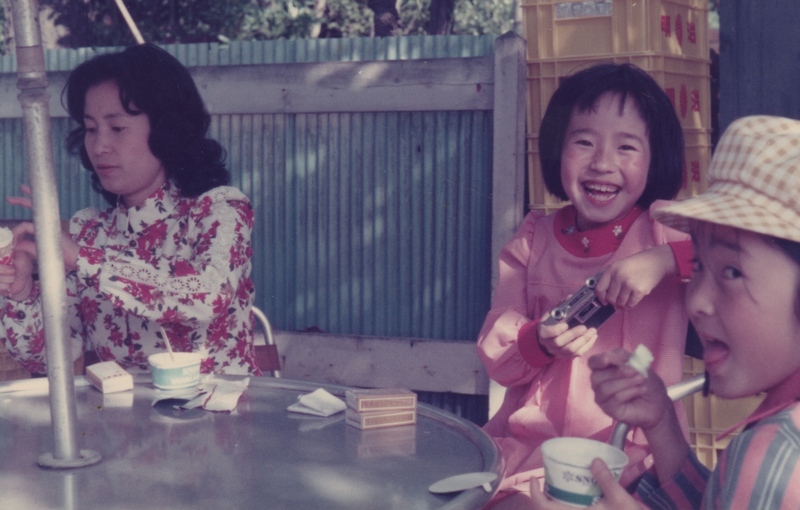 photograph: 6-year-old Yuko with her mum and cousin. Her dad took the picture. We talked a lot. Dr.Fujita and Kanda-san gave me some good advice about the training and the future. If someone cannot walk for one year or more - it will be extremely difficult to come back to walking. Life with a walker/walking frame/wheelchair to the end of their lives would be highly likely. I hadn't already been able to walk for over one and a half years. Yes, I know - my situation was quite serious. But I had been doing my best. If more - more training? It was impossible. I just have to continue my training as usual, make progress and gain new muscles - step by step. Dr.Fujita took my blood, and gave me vitamin tablets. The next day he informed me that the blood test results were OK.
A month later Dr.Fujita brought a neurologist from Switzerland to me. 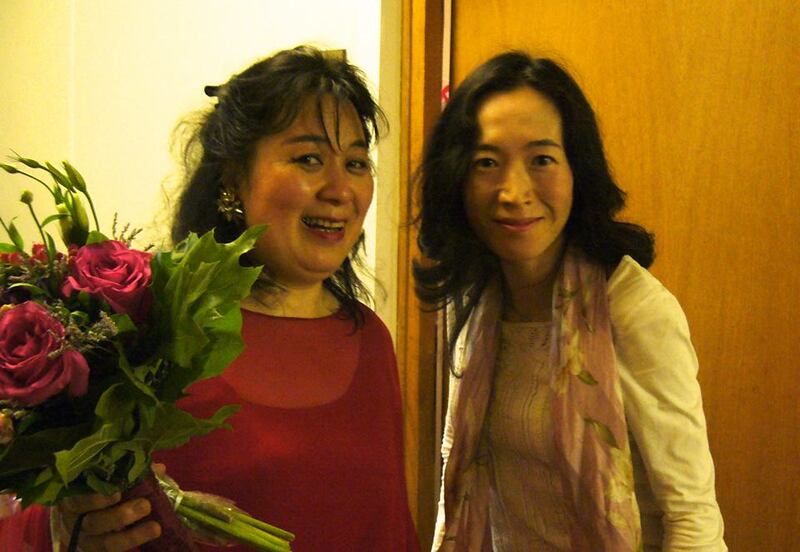 Dr.Nakanishi visited Warsaw and Dr.Fujita talked to her about me and they visited me. I'm very grateful to them for their kindness. Several days later, an acupuncturist visited me. I'd never had acupuncture before. She saw me and said: 'You are too weak. Today I cannot do anything for you. It's risky to do. When you are in better physical condition, I would be able to do for you, but definitely not today.' - And she left with her bag doing nothing. I had thought I was much better than early in 2015 and I was. But in her eyes - I was too weak to acupuncture. A few days later the acupuncturist phoned me. She was very kind. 'Yes, whatever. Everything. They can do everything for you'. Soon my helper Pani Zosia started to visit me twice a week. Poland is a wonderful country. For instance, elderly people can ask thier helper for help - cleaning the house, cooking meals, or helping them to take a bath and so on. But in my case - I can cook, I can take a bath. For me the important thing is to be able to walk again. So I asked her for help - to meet me and mainly help me train in order to walk. I had applied for the rehabilitation training at the rehabilitation centre but I had to wait long. So while I was waiting and training myself, Zosia helped me train. Zosia was a very good helper. She was in her sixties, she was always joking. So I was always laughing with her jokes. Zosia was open-minded, cheerful and very energetic. I liked her very much. We talked all the time. During the conversation with her, I was able to forget my muscle pain. 'I think so. I'll talk to the people at the Social Care Centre'. And she really did it. She went the centre and talked to them and everything was done. Zosia started to visit me every day, from Monday till Friday, at 10 o'clock. I liked meeting her, so I rose up with joy every morning. In late October I did a USG test at a local hospital. Still I couldn't walk, so the hospital provided their car and a wheelchair. For the first time in my life, I used a wheelchair. Then a month later, one morning in November 2015 - I suddenly felt I could walk. I felt, so I tried. I couldn't. But still I felt I could, so a few hours later I tried again. I was able to do just a few steps. Couldn't more. It wasn't a 'walking', just a few steps like a baby. But for me it was a huge huge huge success. The training, gaining new muscles is a really slow process - we have to be extremely patient - but it's worth it. I continued the training. I felt I became a baby again. I discovered again how to 'walk'. Like a start from zero. In 2015, I hadn't been able to walk until October, not even with Nordic Walking poles. But one day in late November, suddenly I felt I wanted to go out alone. I took my Nordic Walking poles. It was before 10 o'clock in the morning. Zosia hadn't come yet. I went outside slowly. I went to the pavement and tried to walk with poles very slowly, only a few metres. I managed to do it. But walking with poles in the room and walking with poles outside - it's a big difference for a person whose legs are weak. I tried to walk with poles a few meters more/further. I was able to do it but already felt tired. And then suddenly I felt that someone was looking at me. It was Zosia. She came up to me. I will never forget how she looked. Her eyes looked unbelievably big - her face showed she couldn't believe what was happening. She couldn't believe that I was able to walk with poles in the street alone. Zosia was extremely surprised looking at me. She was so moved. The programme won the prestigious JSBA (Japan Satellite Broadcasting Association) Original Programming Award. We had thought that my going outside would be too risky, too dangerous to me. When I travelled to Koszalin with Nordic Walking poles for my Mozart KV488 with Koszalin Philharmonic Symphony Orchestra in November 2013, I had dangerous situations during the train journey - a few times, because of my weak legs. Now I can understand, why the rehabilitation clinic told me that better not to go to Koszalin. It was dangerous, indeed. Fortunately - I had all the luck. After the Koszalin concert, in December 2013, when I was able to walk with poles, I went for a walk with poles every day - as a rehabilitation. In the street, people were/are very kind and helpful. Poland is a wonderful country. It was so nice but I was scared/frightened because I almost fell down because of her behaviour. I almost broke a bone. So now - Zosia can accompany me from Monday till Friday. I can try a longer walk with poles. Zosia is my 'bodyguard'. My everyday walking with Zosia with poles made remarkable progress. We expanded the distance every day - little by little. When I walked with poles, I felt the leg muscle pain all the time. And - I felt as if I was walking with 20-kg-luggage, because my leg muscles were/are not enough. But Zosia and I talked all the time during the walking. I was able to forget the pain talking to her. We laughed a lot. In December 2015 and January, Fabruary and March 2016 - the four months were my biggest progress days in the walking rehabilitation. In January 2016, when I went for a walk with Zosia, I walked with poles, and sometimes tried to walk without poles - only 5 or 10 steps, for example. I managed to walk without poles for a very short time, but soon after that I went back to walking with poles. I couldn't continue long. But I expanded the distance of my walking without poles little by little - 5m, 10m, and then 20m. Although I had the leg muscle pain all the time and I didn't look nice when I was walking, I was happy. Being able to move with my own legs - what a wonderful thing. I had four people as my helper by March 2016: Zosia, Ela, Ula and Zosia. I am deeply grateful to them. Also, thank you Agnieszka, Bogumiła, Agnieszka, Teresa and others - from the Social Care Centre. The first Zosia became ill in January, so unfortunately she had to finish working at all - it was sad. But we often phone to each other - It helps us. Ela and Ula were very busy, so my walking with them was 'temporary'. Then Zosia, whose smile was really charming, and she liked to walk long - so it was good for me. 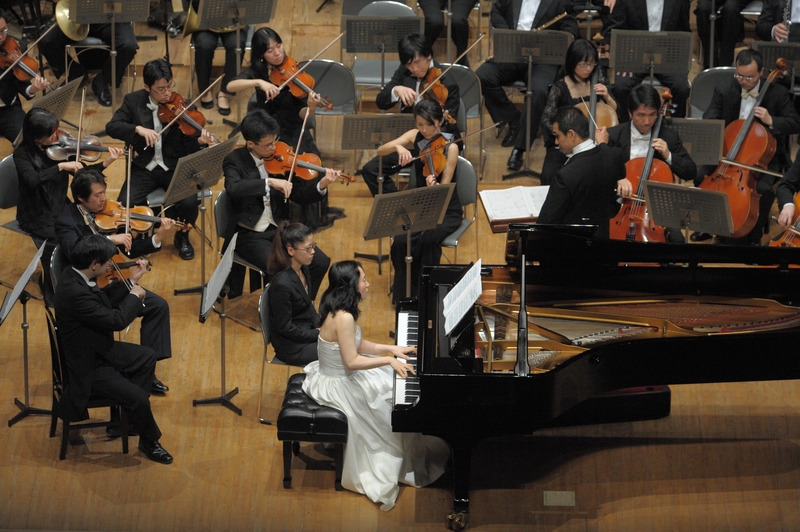 She supported me devotedly. We did a long walk every day. We visited various churches. After the long walk we prayed in the church and rested there. We also went to various beautiful parks. Went to a farmers' market. Went to the library. Went to various clothes shops together. We talked all the time - talked about politics, history, literature, languages... everything. And in April 2016 - I started the walking without my helper. My new life has started. Thank you very much for your support, reading my account and reacting to it. Thank you for your very warm comments and messages. I deeply appreciate the support you have all given me. Currently my 'job' is to walk, to gain more leg muscles and return to my normal life, to my work. I train very hard every day. My leg muscles are still sore but I must walk, must forget the pain. I've been making progress. Yes, for me it's remarkable progress - because I couldn't walk at all - for about two years. Sorry for the shakiness of the video but I'm walking with my weak legs. This is my 'rehabilitation walking' video. For me it's touching: after two-year extreme patience, hard training and tears, I started to walk again - without any chemical things or surgery. I can walk again. The training and diet and many people's support made it possible. Watching the video with HD (High Definition) setting is recommended. 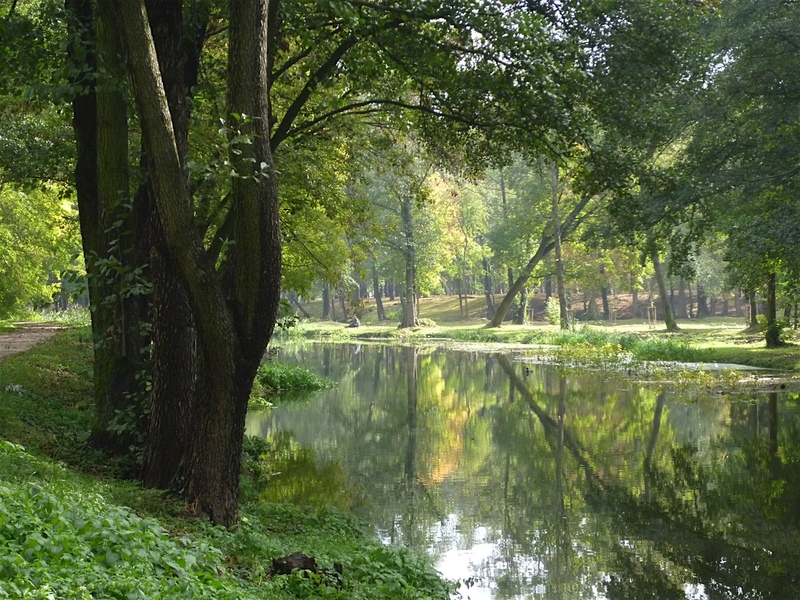 This is my favourite walk - green, fresh air and water. Thank you again for your great support.